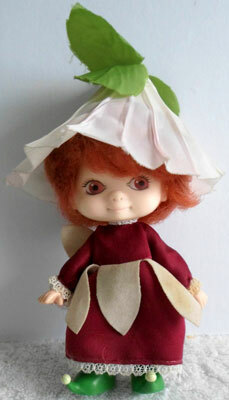 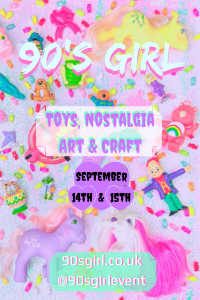 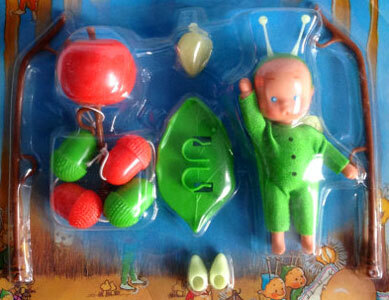 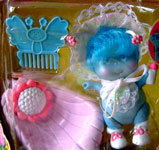 Images on this page thanks to Cobralily, ToyStable and eBay seller kreatobergas , fair0722 and Dennis-Collectibles-Dolls-And-Toys ! 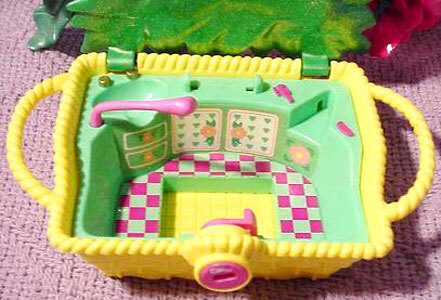 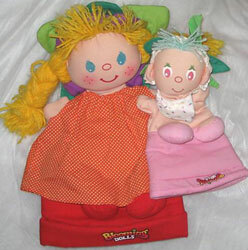 I know of two playsets. 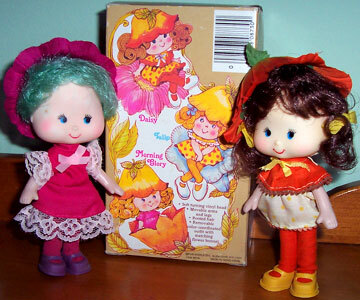 Neither came with dolls or pets. 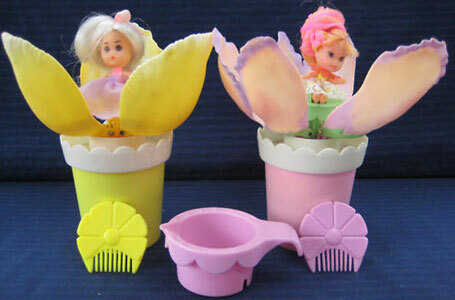 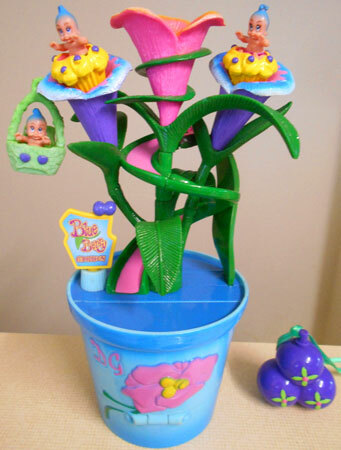 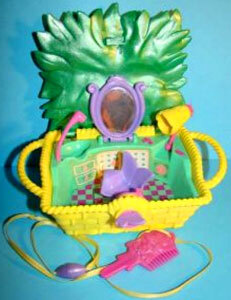 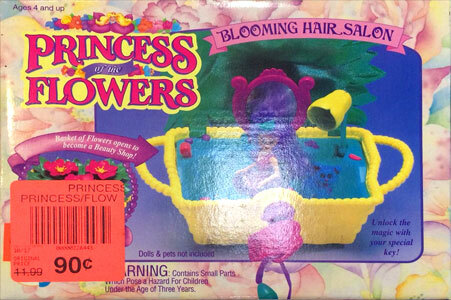 "Basket of flowers opens to become a beauty shop!" 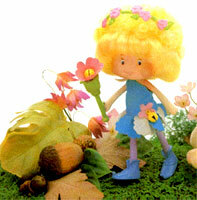 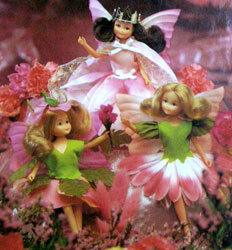 "Princess of the Flowers enchanted garden is a place where wishes and dreams come true. 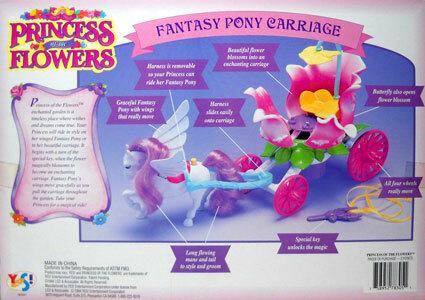 Your Princess will ride in style on her winged Fantasy Pony or in her beautiful carriage. 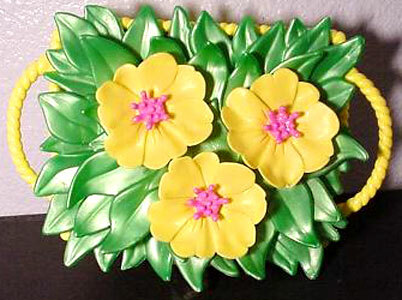 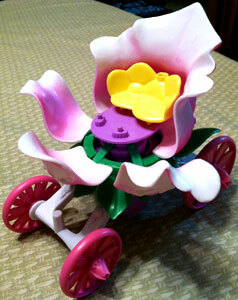 It begins with a turn of the special key, when the flower magically blossoms to become and enchanted carriage. 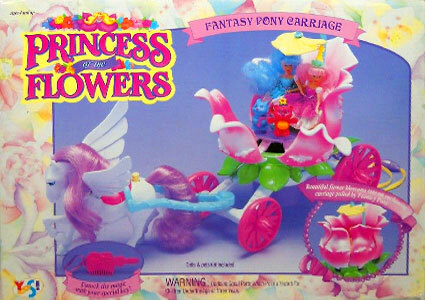 Fantasy Pony's wings move gracefully as you pull the carriage throughout the garden. 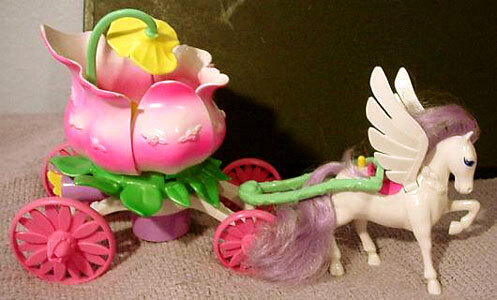 Tale your Princess for a magical ride!" 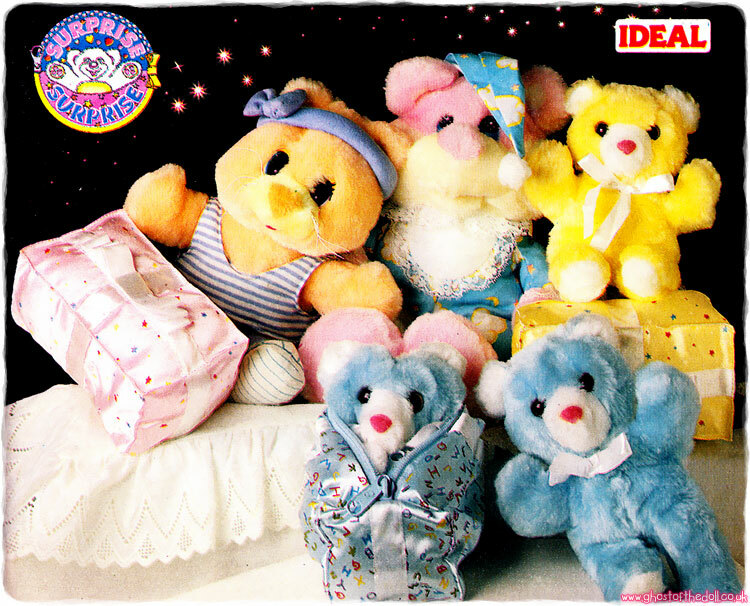 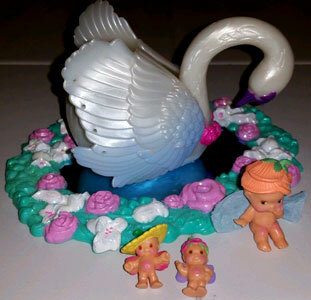 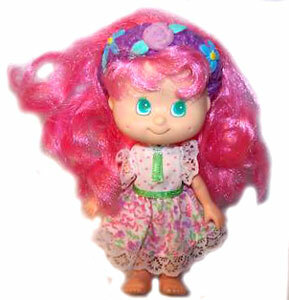 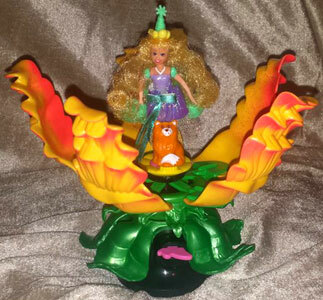 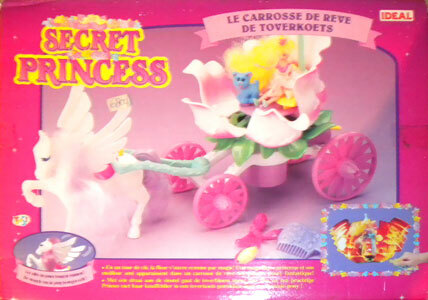 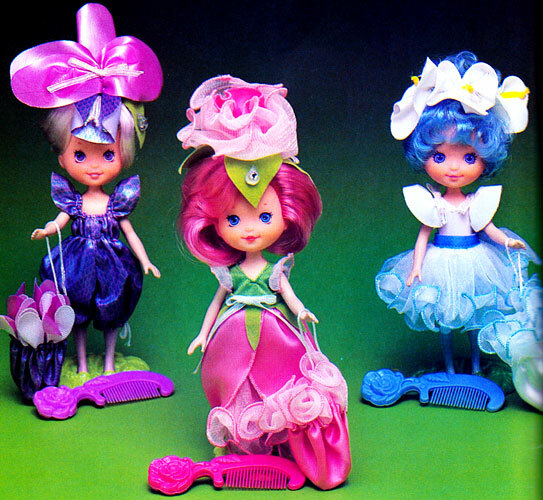 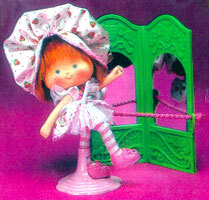 This packaging was produced by Yes!/ Ideal for sale around Europe under the name "Secret Princess".